The 2016 Nobel Prize went to Yoshinori Ohsumi for his work on applications of yeast1 and a wide variety of cell-based prokaryotic and eukaryotic systems, as well as cell-free systems, have become available since then2. Indeed, it is not just food products, such as yogurt, bread and wine that can be formulated through biotechnological means. 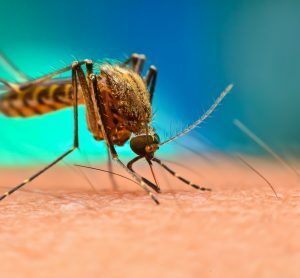 We are now seeing the bio-production of recombinant proteins, organs and vaccines. And we can expect to see many more such products becoming available in the future as biomanufacturing evolves, including, for example, personalised therapies. Such products are manufactured under the US Patent 2,535 issued on 1 April 1842 to C. C. Edday titled ‘Fermenting Vat for the current upstream processing at a commercial level’. While such evolution is undoubtedly a positive thing, to meet the current challenge of controlling costs, the technologies needs to be reinvented somewhat. 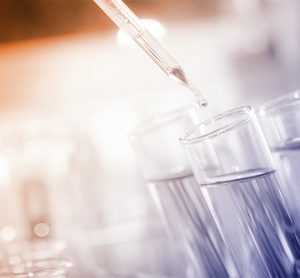 The high cost of biological drugs is a result, in part, of their high development expenses, which range from up to $200 million for a biosimilar product to more than $2.6 billion3 for a new molecule. 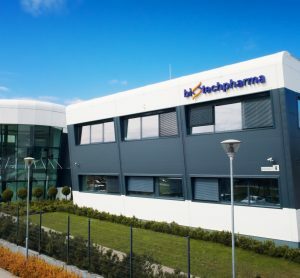 In 2015 the top ten $5 billion-plus products included seven biologics4, making this class of drugs highly lucrative and resulting in many such products being developed5. Companies are thus investing billions of dollars in new facilities, albeit, mostly the traditional types involving deep tank stainless steel reactors. The advent of single-use technology in the 1990s was highly beneficial to manufacturing methods and offers a remarkable opportunity to reduce the cost of manufacturing. In addition, with many new modifications to this technology arising and its significant advantages over traditional tank facilities, as described in this article, it has the potential to reinvent commercial biomanufacturing (Table 1). 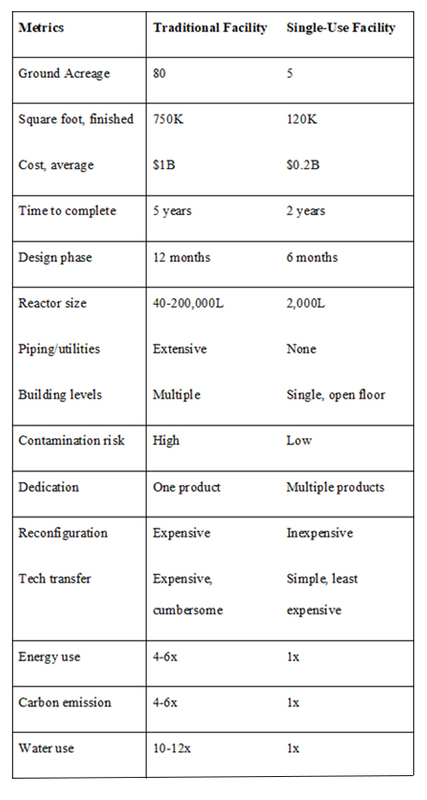 Table 1: Comparison between traditional deep-tank and single-use facilities. The net result that using a single-use technology has in significantly lowering cost7 is depicted in Figure 1. 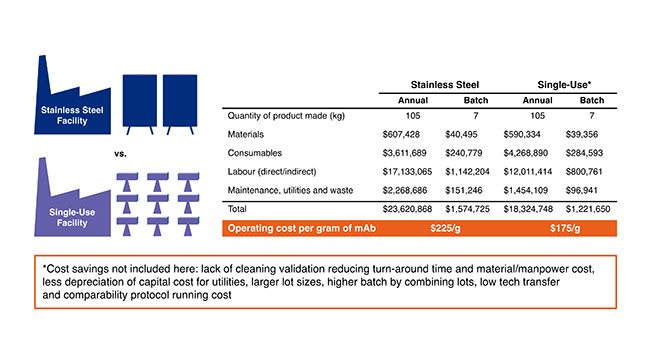 Figure 1: Comparison of cost of the product using traditional or single-use. With additional modifications (as described in the following paragraphs), these expenses can be further substantially reduced. To provide a broad perspective on the need for reinventing commercial biomanufacturing, Table 2 shows the considerations of current needs and how such requirements can be met; reinventing is about more than just reducing cost, it applies to a broadening of the technology as well. Table 2: Reinventing challenges in biomanufacturing. Expression systems are improving to provide increased levels of expression8 and there has been an increased focus on the use of human cell lines which can provide a yield that is equivalent to other mammalian cell lines. A key advantage of using human expression systems is that the multiple expressed proteins lack or have very low potentially immunogenic, non-human post-translational modifications (most notably α-gal and N-glycolylneuraminic acid)9. The result of these improvements is that smaller bioreactors are required. However, with increasing use of human cell lines, problems related to cleaning validation, cross contamination and viral clearance in commercial biomanufacturing have resulted in many facilities shutting down10. 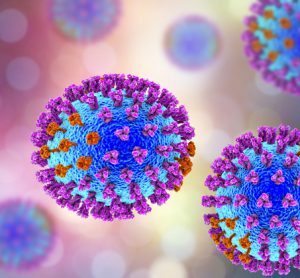 Viral clearance steps can be undertaken to help mitigate such risks, which focuses on filtration in a viral-free environment using heating, ventilation and air conditioning (HVAC) systems and hoods that assure complete viral removal. The United States Patent 8,066,947 (Air scrubbing system) treats the air in an alkali environment to inactivate all viruses, and the US patent 9,469,671 (Closed bioreactor) offers an opportunity to protect the product and the facility from the product efficiently. In order to meet the ever-raising regulatory bar, the adoption of single-use manufacturing11,12 seems inevitable. Table 3: Reinventive approaches to commercial biomanufacturing; intellectual property owned by the author. A major cost element for contract manufacturing organisations, developers and manufacturers is the need to house several different upstream and downstream trains specific to the product; a universal bioreactor is possible because the basic process steps in biomanufacturing are common. A platform with fixed utilities, capacity, size and lacking portability – such as the deep-tank stainless steel tanks – will not fulfill these needs, even when lined with a single-use sleeve. A universal bioreactor will be agnostic to the type of product, the type of gassing, the intensity of stirring or shaking, the size of batch and the location of installation. Several recent US Patents point towards these possibilities using a free-standing single-use system (Table 3). Another cost concern is the scale-up process and the need to conduct a comparability protocol when scaling or transferring the process. One way to avoid high costs is to validate only one size of bioreactor, preferably between 500L to 1000L, and deploy multiple bioreactors simultaneously to build the required volume, discarding any contaminated lots. Additionally, this modular approach can be further refined to mix lots using a geometric dilution rather than large vessels (US Patents 9,068,215 and 9,469,426 (Table 3)) to meet the CFR 21 requirements of a single batch. Establishing a new commercial biomanufacturing facility is a one billion-dollar proposition at least, and this cost shows up in the depreciation component of the cost of goods sold, often contributing to as much as 50% of the cost. Cutting these prices requires a broader approach. For example, bioreactors are traditionally tall upright structures. By disposing bioreactors horizontally instead of vertically (Table 3), the expenses of a facility can be reduced. An ancillary benefit of using horizontal bioreactors comes from significant improvement to the process by reducing the liquid height to allow gas to escape more quickly, allowing gasification at multiple points to reduce the need for vigorous mixing. The HVAC systems also need to be redesigned. The upstream manufacturing is mostly conducted in ISO 8 areas and the downstream processing under ISO 7 environments. The restricted access barrier system (RABS) and isolator technology13 widely used in sterile fill and finish operations should find its way into commercial biomanufacturing due to the smaller bioreactors suggested above. However, a more creative approach is to seal all ports of a single-use bioreactor and qualify it for use in ISO 9 environments, as reported in the US Patent 8,183,035 (Table 3). Consolidating bioprocessing steps can bring large cost reductions. 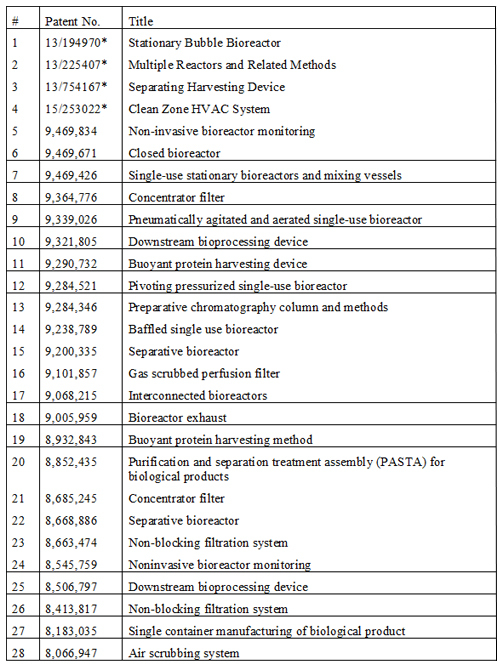 The traditional methods of removing the expressed protein and disposing of resin in the bioreactor are ways of allowing early purification of the bound protein within the bioreactor, thus combining the downstream processes (Table 3). Continuous processing is developing fast14 and offers a real cost-saving opportunity; however, an additional re-inventive step may include a train that includes the steps of cell expansion, titer development and protein capture in a continuously flowing process that will enable a bioreactor setup, if it is completely sealed, to operate indefinitely. One method of continuous processing may include a batch record that combines all steps in one, reducing the significant cost of testing step released products. The use of disposable sensors is also an area of fast development; these are mostly based on chemical reaction with the media in a fluorescence mode. However, such sensors are subject to high variability and prove inefficient in long process manufacturing. A new approach is to install a glass cuvette inside a bioreactor where it remains completely submerged and insert non-disposable emitters and sensors to record media variables, as shown in US patent 9,469,834 (Table 3). 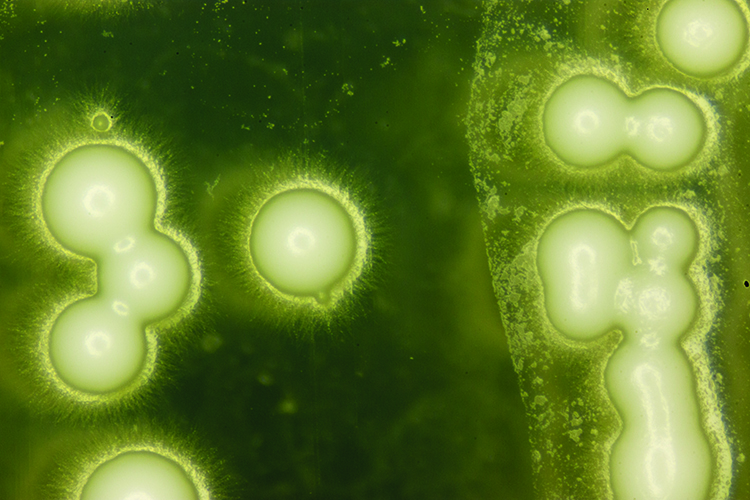 Commercial biomanufacturing is poised for major change as cost elements continue to challenge the science. The reinvention of the current archaic technology requires a zero-based redesign in every step, from cell lines to upstream and downstream process. The single-use technology needs to change significantly to be accepted by the large companies still investing billions into traditional deep tank technology. 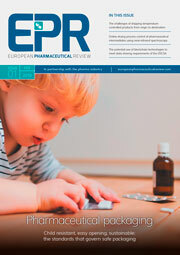 However, with a large number of new possibilities, it is likely that future biological drugs will be manufactured most cost-effectively by the modified single-use systems of today15,16. Disclaimer: The views expressed here are not necessarily the views of Adello Biologics, LLC and do not in any way disclose use of the proposed technologies by Adello Biologics. Acknowledgement: I would like to acknowledge the dedicated work of Celina Dopoulous, Andrew Bourgoin, Cheryl Liljestrand and Jacquelyn Hurd, all part of the great team I have at Adello Biologics, LLC, in helping me create this work, as well as the intellectual property associated with the work. SARFARAZ K. NIAZI, PhD is the Founding Executive Chairman of Adello Biologics, LLC. He has published scores of textbooks, handbooks and research papers in the field of pharmaceutical and biopharmaceutical sciences and he owns dozens of patents and other intellectual property in various technologies, mostly related to bioprocessing. He has hands-on experience in developing biological products of high complexity.